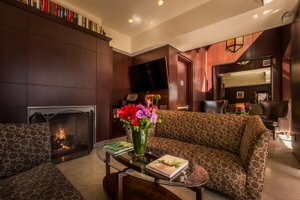 The Writer's Den (660 sq feet total), located on the 14th floor, embodies Library Hotel’s private club ambiance by featuring a mahogany-paneled sitting room with overstuffed chairs, leather couches, 42” flat paneled television with DVD & laptop capabilities and a gas burning fireplace. 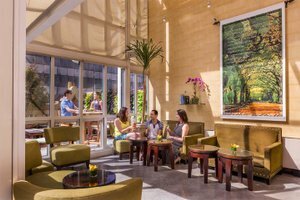 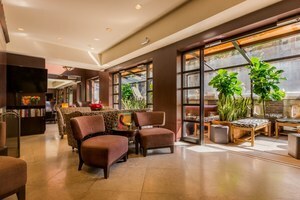 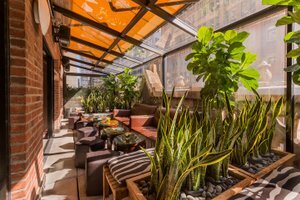 This unique space also offers a glass-enclosed garden terrace that can be used year long with additional tables and seating making it an ideal location for casual daytime meetings, showrooms, cocktail receptions or social events. 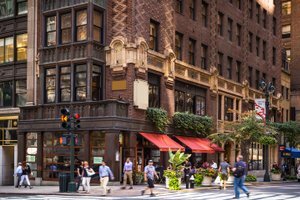 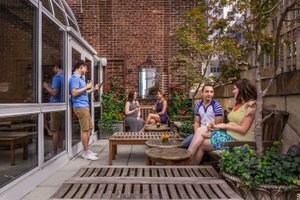 The Poetry Garden (780 sq feet total), also located on the 14th floor, provides a charming garden greenhouse sitting room with a beautiful wraparound outdoor terrace that draws spectacular Manhattan views of the Public Library and surrounding New York architecture. 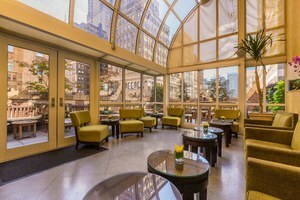 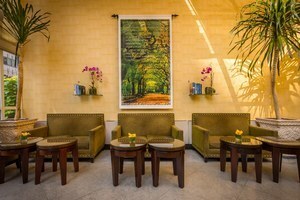 To get those creative verses flowing, The Poetry Garden lends itself for small intimate New York City events and meetings, showrooms or cocktail receptions.